The enigmatic Chan Marshall a/k/a Cat Power returns to Australia this January to perform in solo mode, intimate and up close. 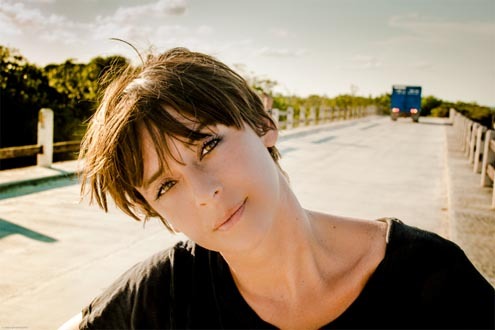 Cat Power will perform two shows in the Circus Ronaldo Tent for Sydney Festival and will also appear as a guest vocalist at SF’s Big Star’s Third, a live orchestrated performance of the classic album. Cat Power will also perform shows in Melbourne, Fremantle, Canberra (her first show in our nation’s capital in over 10 years), a debut performance at the Meeniyan Town Hall in Victoria’s Gippsland, and two very special shows in beautiful downtown Milton on the NSW south coast. Mick Turner: Dirty Three guitarist, sometime collaborator with Cat Power and Chan’s very good friend will join the tour for many of the shows performing solo or in band mode presenting material from his brand new album Don’t Tell the Driver, his first to feature vocals. Cat Power’s own album of last year, Sun, featuring the singles Ruin & Cherokee, was the most successful of Cat Power’s career, debuting at #10 on the US mainstream Billboard charts (a first for her US label Matador too) and #2 in Billboard’s Alternative and Independent charts. In Australia Cat Power’s full band tour of Feb / March 2013 saw sold out shows at Perth International Arts Festival and Melbourne’s Forum in addition to a headline spot Meredith’s Golden Plains Festival and a double bill with George Clinton for MONA in Hobart. This time though, Cat Power is going it alone.